FRANKFORT (Feb. 21, 2017)–Secretary of State Alison Lundergan Grimes confirmed Tuesday nearly 60 percent of Kentucky voters cast ballots in last November’s presidential election. The State Board of Elections recently finalized voter credit for the cycle. The turnout represented 59.1 percent of the electorate, a short decline from 2012’s 59.7 percent turnout and 64 percent in the 2008 presidential election. “These numbers still show that we have plenty of work to do to get Kentuckians engaged and that includes pushing for election reforms like early voting, which make it easier to vote,” Grimes said. About 62.8 percent of Republicans voted compared to 58.5 percent of Democrats. Forty-five percent of voters identifying as Independent or affiliated with another party cast votes. 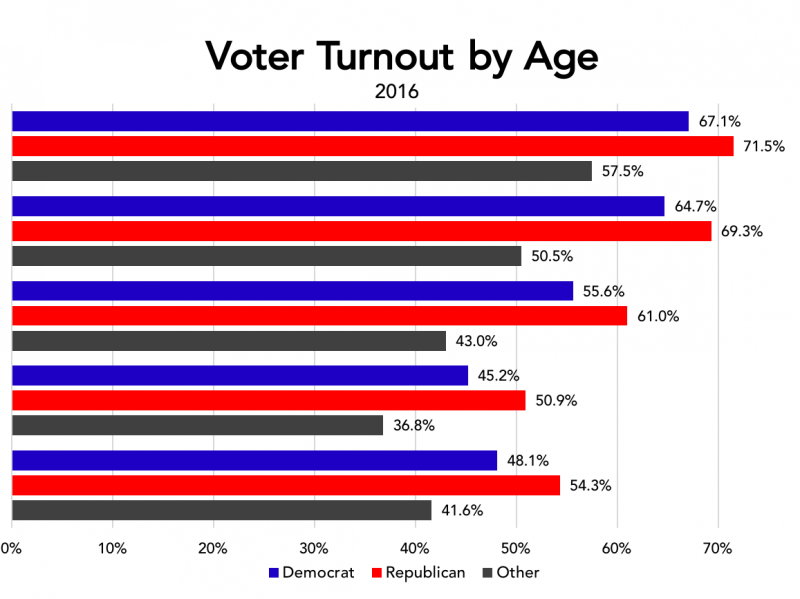 Turnout was strongest among Republican men 62 years old and older–73 percent–followed by Republican women between the ages of 50 and 61 who voted at a rate of about 70 percent. 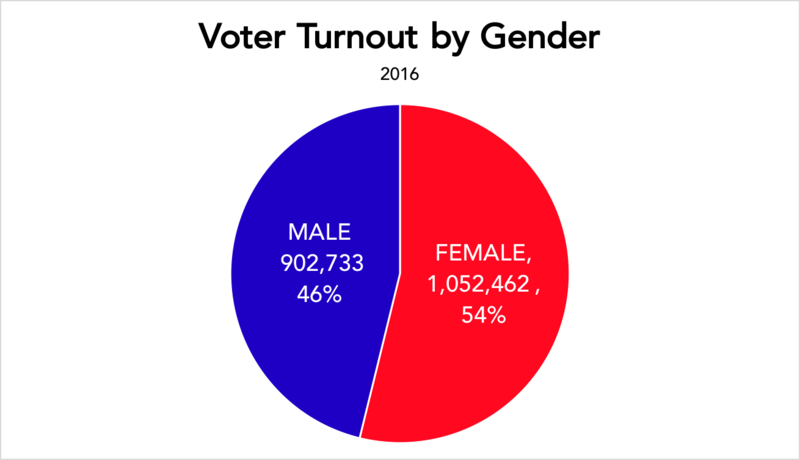 The lowest turnout was among women, 25 to 34 years old, at 36 percent. The turnout rates among the political parties when compared to the 2012 election was mixed. Republicans voted at the same rate as in 2012 with 62.8 percent of GOP voters going to the polls. Democrats saw their turnout decline by a percentage point from 59.5 in 2012. There was no change in turnout for voters identifying as other or registered in other parties with about 45 percent casting ballots in November. 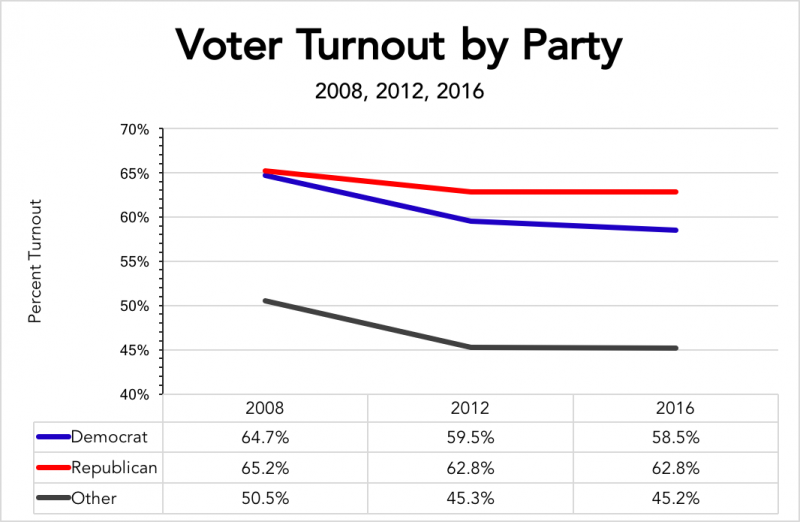 Since 2008, the rate of voter turnout is down across the board. Republicans saw a decline of more than 2 percent since that election and the turnout among Democrats declined by about 6 percent. Turnout of all other voters declined by more than 5 percent. Official voter turnout totals are available at GoVoteKY.com.